What Was Your Most Authentic Moment Today? Two recent HBR articles provide two different views on what it means to be authentic. In “The Authenticity Paradox” Herminia Ibarra notes that too simplistic an interpretation of authenticity is a hindrance to effective leadership. In order to grow and develop as a leader, one has to try on behaviors and attitudes that may not come naturally and, therefore, feel less than authentic. “Discovering Your Authentic Leader” looks at the role of your life story, self-awareness, acting on your values and principles and balancing your internal and external motivators in authentic leadership. My view of authenticity tends to be more aligned with the second article. 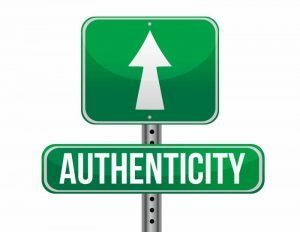 Being authentic isn’t about saying and doing whatever you feel like because it feels right to you, which the first article suggests is the simple view of authenticity. It’s about bringing the uniqueness of yourself to situations, acknowledging the others in the situation and their uniqueness, and appropriately using your individual perspective, values, knowledge, abilities and skills in the moment. As I say in Getting Real, it means knowing who you are as a leader then taking actions and having the interactions that allow you to make a real impact. I see many people who leave their authentic self at the door because they believe they need to be someone else to be successful at work. As you go through your day today, think about your most authentic moment. When were you bringing your particular uniqueness to a situation and what happened? How did it feel? Did you respect others’ uniqueness? What was the result? How can you make that happen more often? https://i0.wp.com/nextbridgeconsulting.com/wp-content/uploads/authenticity-sign-300x232.jpg?fit=300%2C232&ssl=1 232 300 nextbridgeconsulting http://nextbridgeconsulting.com/wp-content/uploads/logo-2-new_lngc2.png nextbridgeconsulting2016-11-16 08:00:162017-01-16 18:10:35What Was Your Most Authentic Moment Today?